They say a dog is man’s best friend. But those adorable leashes you’ve seen in dog boutiques are expensive. Why not make your pal a cool custom dog leash? This 6-foot-long, ribbon dog leash from Quick Stuff to Sew, Vol. 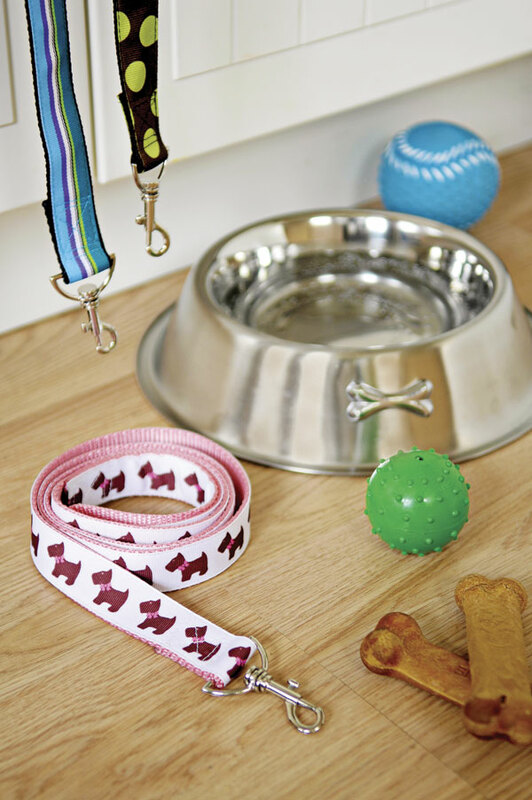 2 is an easy and affordable way to guarantee your pup will be stylin’. Creating a ribbon dog leash for your pooch takes about an hour and is a great project for a beginning sewer. Use nylon webbing for support, ribbon for glamour, and a swivel hook for function. We chose grosgrain ribbon for a preppy look, but you can use any ribbon or trim you like.